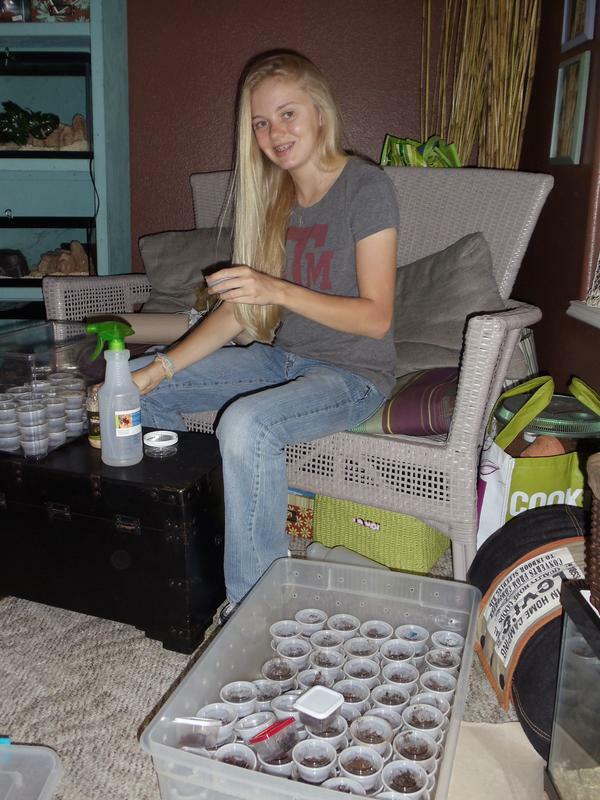 Giant Peppered Roaches are fun to keep, because they're calm and easy to hold! *They can climb and need a lid! *These roaches are FUN to keep, because they hiss! 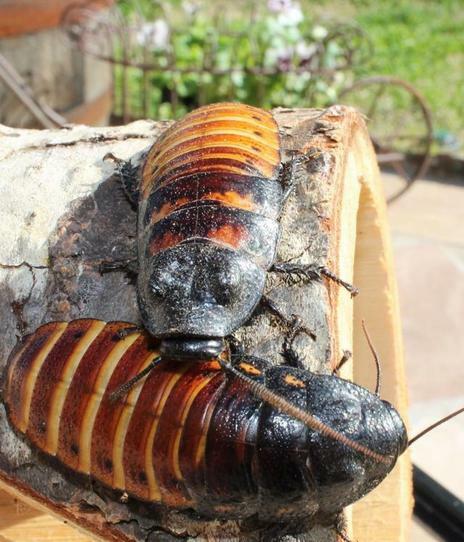 Madagascar Hissing Roaches hiss by pushing air through their abdomen. *Can give off an odor if they don't want to be handled. 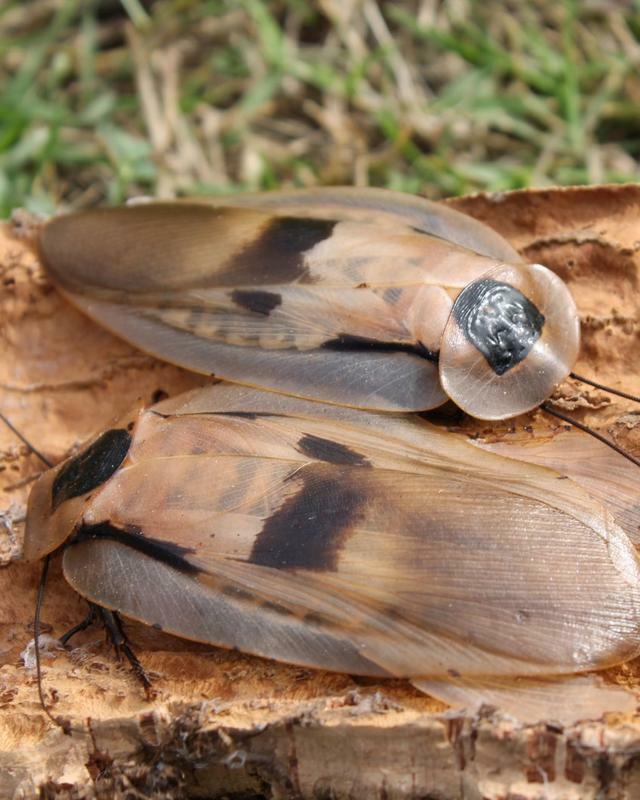 *These roaches are beautiful and unusual. They're fun to keep, because they are fast and great for roach races! Learn more about the roaches we sell in this video blog! Short clip of Erik and me presenting. After presentation, watch as a roach molts during a thunderstorm!